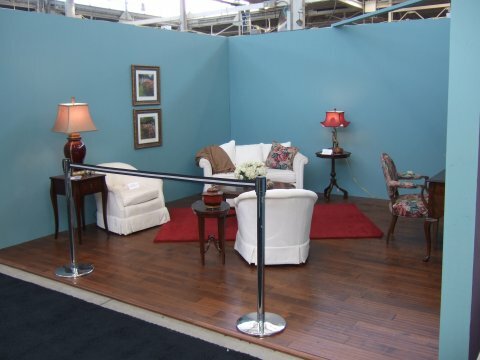 American Society of Interior Design (ASID) invited Indiana StateUniversity's sophomore students from the interior design program to create a before-and-after booth displaying a living room for the 2009 Indianapolis Home Show. Drew Randle, a junior at ISU and student representative of the ASID board, said students whose design was chosen have first-hand experience to put their ideas together. "It's all experience where they're going to learn to roll with the punches, learn how to modify their design quickly, and it's a positive experience for them," Randle said. Mary Sterling, associate professor and coordinator of the interior design program, said students were given space to display their exhibit at the show. 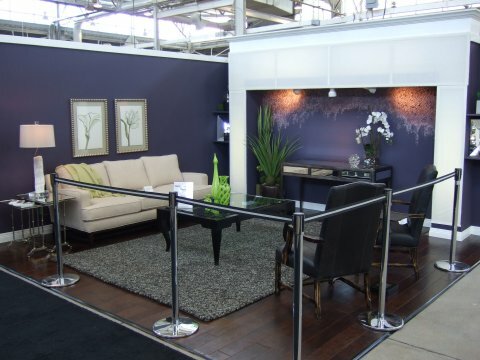 "They are given a 15-foot by 15-foot of before-and-after booth space they have to be able to design," said Sterling. Anna Hollibaugh, Bridget Lindauer of Ferdinand, and Ashley Lutz of Terre Haute, developed the design that was chosen to be displayed at the show by Jessica Simmons, adjunct professor for the interior design program, Juan Jurado, assistant professor of interior design, Randle and Sterling. Hollibaugh, of Carmel, thought the "after space" was difficult to design because they wanted to create a unique and functional wall space despite not having windows or a central focal point. "Building a feature wall to represent a nook created depth and also an intimate space," Hollibaugh said. "We wanted to add another dimension by adding a faux-like finish texture, giving it a very artistic and uncommon look." Jurado is helping the students expedite the booth's creation at the Indianapolis State Fairgrounds where all sophomore interior design students will work in shifts to explain the design throughout the show to the public. Hollibaugh said her learning experience has been invaluable and she is honored and grateful for the opportunity. "It's one thing to be in the classroom learning about working with the client and working with a design team full of carpenters, electricians, painters, but it was a whole other ballgame actually working with them on site, " Hollibaugh said. "It was an amazing treat and very rewarding to see our visions completed from start to finish." Randle, of Hutsonville, Ill, thinks it's great for ISU to be involved with this display because it's putting the school's name and program out there in view of the whole state and people who come to the home show. "It's a central thing and it's good," Randle said. The Indianapolis Home Show opened Friday (Jan. 30) and runs through Sunday, Feb. 8. Cutline: An ISU student takes a measurement during the creation of the design booth for the Home Show in Indianapolis. Courtesy photo. Cutline: Before the redesign by ISU students. Cutline: After the redesign by ISU students.